Original artwork by masters like Picasso and Edward Hopper. Documents from Napoleon and Abraham Lincoln. What do they have in common? 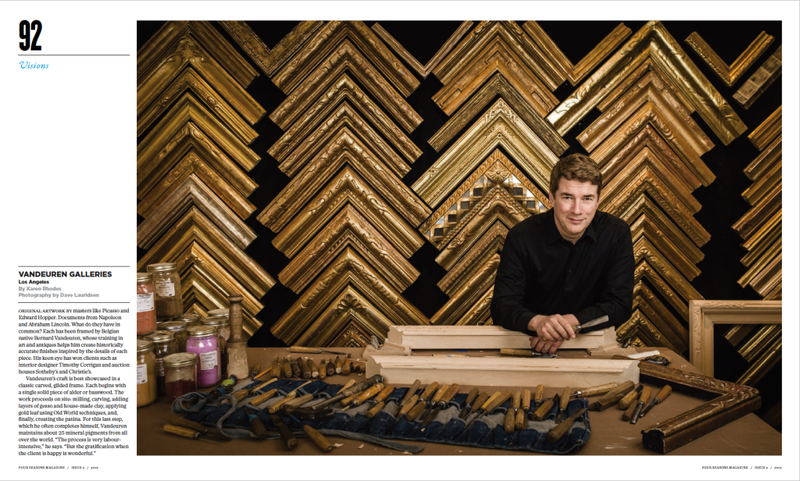 Each has been framed by Belgian native Bernard Vandeuren, whose training in art and antiques helps him create historically accurate finishes inspired by the details of each piece. His keen eye has won clients such as interior designer Timothy Corrigan and auction houses Sotheby’s and Christie’s.